I'm emulating a old DOS computer(16-Bits), then I want to know what are the must-have tools for tiles and backgrounds for it and where can I get them? What host platform are you running the emulator on? Are you trying to emulate 8088 (original PC), 8086 (XT), or 80286 (AT)? MDA, Hercules, CGA, EGA, or VGA? Windows CE 3(HPC 2000), emulating a 8086(XT), it's called PocketDOS. Sorry, I forgot to say this. From the PocketDOS page, it appears you're emulating an XT with a VGA card. For "text mode" apps, the VGA tile formats are 8x8, 8x14, and 8x16 pixel 1-bit tiles. Almost any tile editor can edit 8x8 pixel tiles, and those supporting metatiles can edit the 8x16 ones. But most graphical apps (other than oddball things like MS-DOS 6 Defrag) use a frame buffer mode, and image formats popular in the DOS era include PCX, BMP, and several company-specific formats. You might want to ask developers of DSx86 and DOSBox for help on this project. Windows CE 3 come with a Paint Brush application that save to BMP and PocketDOS can access the Compact Flash card as a HD. Then I just need a application that can convert from BMP to tiles, backgrounds and sprites format. There is any kind of this to 16-Bit? DOS games don't necessarily use a well-known format for tiles, backgrounds, and sprites because most games don't run in text mode but instead a frame buffer mode. You don't need to understand the text mode to run applications that use the graphical mode, nor do you need to understand games' private graphics formats. You just have to understand writing 2-bit packed pixels (CGA), 4-bit planar pixels (EGA/VGA), and 8-bit packed pixels (VGA mode 13h). Did you want to run DOS games, or did you want to hack them? You haven't saw this? I didn't know why some moderator moved the thread to here, because I thought I posted on the correct place. I'd use TASM 3.1, some kind of text editor, LoopyNES, and Tile Layer for graphics if I had to make NES stuff on a dos machine. Then I'd get QBASIC to make any other random tools I need. But the hardest part is the input devices. How would you program on a PocketPC's keyboard? List the tile tools please(because it's what I need). I moved it because I thought you wanted to emulate MS-DOS, not emulate the NES or code for the NES. But it appears you already have the emulator, and you're looking for NES development tools that run inside that emulator. That said, the NES homebrew scene didn't materialize until even DOS was 32-bit. For example, Tile Layer is a 32-bit DOS application; your emulator probably can't run it. And unfortunately, my own DOS-based tools are also 32-bit. if you want to code for the NES on a device smaller than a standard PC, a 9" netbook is worth the money. You can run the tools on either Linux or Windows. I use a Eee PC 904HD for NES development, but now I want to get all on the Jornada, that I took 2 years to prepare to move all my tasks for it. There is any other tile applications that can run on 16-Bits? Hmm, tepples your code have Windows API calls on it? Because if not we can try to cross-compile it using gcc... Also, could you please move it to the correct place(NES Development Forum)? My code has Allegro API calls. Allegro is supposed to be a portable wrapper around multiple operating systems' graphics, sound, and input layers. It works on DOS, Windows, and some versions of Linux, but it doesn't appear to be ported to Windows CE 3 yet. And with Microsoft deprecating CE and PDAs without a mobile data plan in favor of Windows Phone 7 Series whose apps are 100% Pure .NET code, it doesn't look likely that someone else will make such a port. TASM is an assembler which runs on 16-bit DOS. It covers a lot of different processors. You need to tell it you want 6502 mode with the -t65 switch, and make it output binary files with the -b switch. You may need a hex editor, like Hexit. Not sure if it's 16-bit compatible or not. Tile Layer is 32-bit dos only. I don't know of any good 16-bit NES emulators for DOS, I think they're all 32-bit. I know that NO$GMB is 286 compatible, but that's a Gameboy emulator. I did a lot of NES development in DOS, some of it on a 386 and 486, but never 16-bit. Maybe you could try NESA by Paul Robson. I don't think it used an extender (maybe it did though? ), but I believe it was the very first NES emulator released for DOS! I couldn't test it now since XP doesn't like it. There's no sound emulation but it seemed to work, I remember playing Megaman on it in slow motion (heh, I was downloading .NES files before there was an emulator I could use, I never had win95). I wouldn't use an old emulator to write the part of your game that touches the NES/PPU registers, the regular program logic should be fine, but you can't trust the PPU input or output the way it was emulated at the time. I've used TASM before and it was pretty decent. IIRC, it didn't have an .INCBIN command, so you have to convert binaries to text format to include it, that's my only complaint. - Right, it might be interesting and perhaps a good exercise but... I don't see the point of such effort, man. 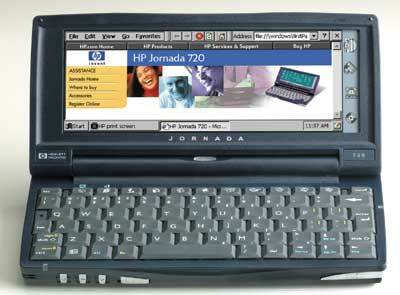 Why not a "netbook" with latest technology?